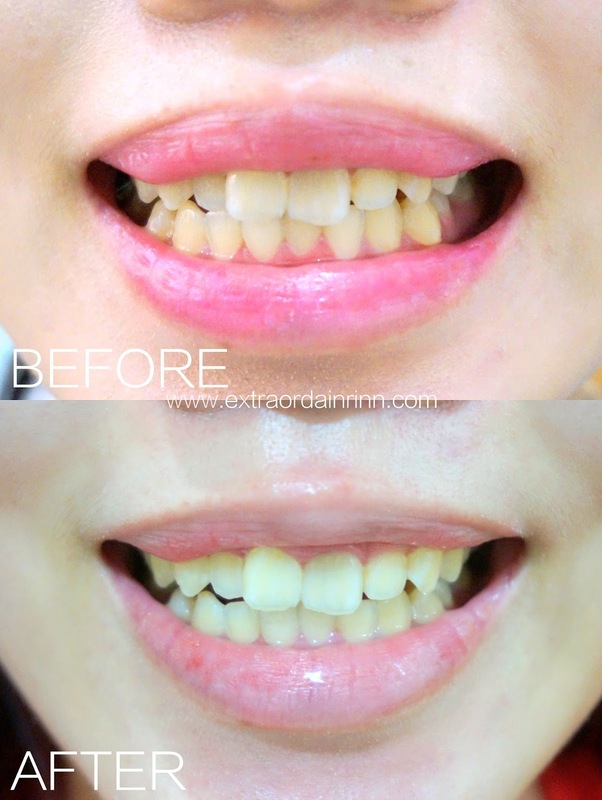 Carinn; carerynn | Malaysia Fashion, Beauty & Lifestyle Blog: Carinn x Invisalign: Opalescence Updated Method - RESULTS! Carinn x Invisalign: Opalescence Updated Method - RESULTS! As promised, here's the results of my previous Opalescence DIY teeth whitening! Just to recap, Opalescence is a home teeth-whitening kit that comes with the whitening gel in a syringe. You are supposed to pair it with your retainers or aligners to get the best results. I have did this before following instructions from my previous dental clinic, but I received feedback from readers and the brand itself that THIS is the correct method to use the kit instead. Check it out before you proceed to the results! Um, first of all, apologies for my chapped lips XD As you can see, the whitening results is way more obvious than the first time I used the kit, proving that this method is more effective. The colour in the AFTER photo is more even, if I may say so. You can see the yellow 'streaks' on the top photo, not so after I used the kit so my teeth looks cleaner. While the results is quite good, but do note that it can make your teeth sensitive. This is my 2nd time trying out the Opalescence kit for 2 weeks, and yep, the sensitivity after-effect is still there. In fact if you have sensitive teeth, I will advice you not to use this too often or maybe try not to use such a thick layer of the gel when applying it. I will stop using this kit for now before the sensitivity kicks in more. You can find more tips on how to manage sensitivity after using Opalescence kit HERE!